Hiremech – A key winning player in the Haringey 100 apprenticeship campaign. As a society, is it a debatable idea that we have an obligation to create opportunities for burgeoning up and comers and young people? Creating real life-changing opportunities for young people is a contribution of an unrivaled calibre. Haringey council recently established a scheme that saw medium to large business owners commit to a target of trying to hire 100 apprenticeships this year. Hiremech was one of those businesses and we have been honoured with a spate of positive reportage detailing our achievements here. “I’ve always found that young people are full of energy and enthusiasm and want to learn something new. I think it’s important to give young people and those who are unemployed a chance, and of the five people we’ve taken on before, four are still here years later.” Paul Green. Hiremech. As much as this is positive news there is still a long way to go for building real, meaningful opportunities for young people across the country. And the government are taking tentative steps towards reaching that ideal. Employers who join the recently introduced Haringey 100 campaign can apply for up to £3,000 to help fund the placement, along with practical help with recruitment which can be crucial for businesses of this size. Haringey Council has also invested around £500,000 to expand the pioneering Fashion Technology Academy in Haringey, creating nearly 3,000 NVQ qualification places and building skills in the borough’s established textiles industry. But another example of a business sector pushing towards reaching these inspiring targets. Hiremech Photoshoot for Our Shiny New Website And New Facebook Page ! We have been busy around the yard, hiding our faces as a keen photographer scouts around the warehouse for new photography for our website! And we also have upped our social media presence too! Please ‘Like’ our Facebook Page here for updates, videos and competitions ! Have a look at some of the photos below and tell us which ones you prefer on FB! Hiremech Presents Episode 1 of Forklift Fails and Mishaps! Hiremech are proud to present our first episode of hugely comical forklift truck mishaps. The internet has popularly dubbed these accidents ‘fails’ and we will be keeping you regularly updated with these shining gems of materials handling bloopers! 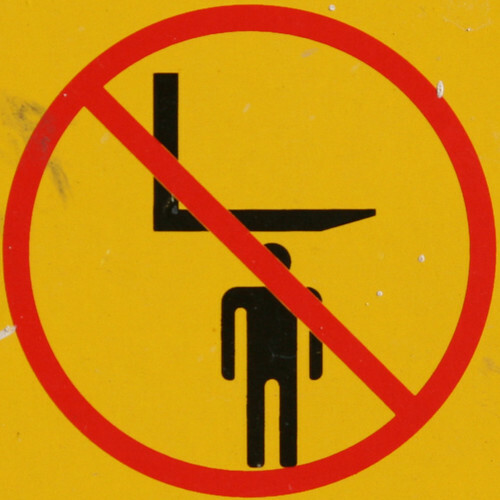 It must be said we take health and safety very seriously and some of these examples may help educate your workforce on just how not to do it, and how bad the consequences can be if you do get it wrong! The FLTA Awards for Excellence – 2015 – is Coming this Weekend! One of our previous blog entries introduced FLTA Awards For Excellence. And this weekend on Saturday 28th February, the Forklift Truck Association Awards for Excellence will take place at the International Centre in Telford. Did you know that Hiremech keep London going without you even realising it? Without us, a lot of important projects in London wouldn’t be successful. In fact, our job is as important as that of the London Ambulance Service. We are the largest forklift company in London, providing forklifts to over 2,000 customers around the city. If your employees will be operating telescopic forklifts at your place of work, it is important to make sure that they are qualified to do so. In order to be a licenced telescopic forklift driver, you need to have undergone the necessary training and passed both the theory and practical assessments. Here we will provide a complete guide to telescopic forklift training in London. Before you can drive forklift trucks legally, you will need to pass the forklift driving test. This is made up of two parts, a theory assessment and a practical assessment. Here we will provide information on what the forklift theory test includes and what you will need to know in order to pass it. In order to stand a chance at passing the forklift driver theory test, you will need to have in depth knowledge of the relevant safety rules and regulations. 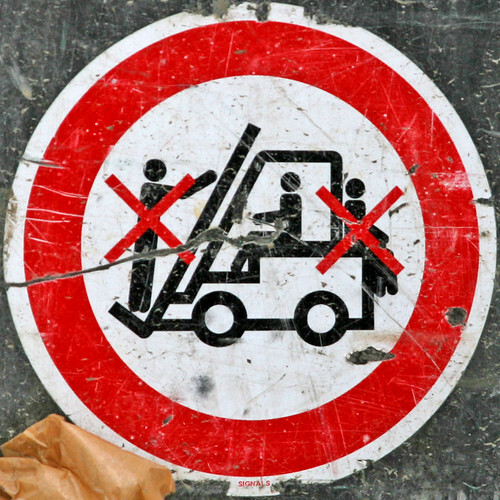 A large part of the forklift theory test questions the individual’s knowledge of safety. Forklift trucks are very dangerous pieces of machinery and if mishandled, can cause life threatening injuries and even death. This is why it is extremely important that individuals understand how to carry out checks and inspections to ensure the equipment is safe and complying with relevant regulations, prior to use. They also must have knowledge of how to operate forklift safely to eliminate risks of injury to themselves and others around them. Forklift trucks are dangerous pieces of machinery, which is why it is paramount that you understand the ‘do’s’ and ‘don’ts’ of operating them. Passing the theory test will prove that you have the knowledge to operate the machinery safely and will minimise the risk to yourself and your peers. Different forklifts vary in the weight they are able to lift and carry. Part of the theory criteria involves knowing load capacities and the height at which loads can be safely carried. Some questions may actually require you to calculate load capacities, so you will need to make sure you have learnt the correct formulas and have brushed up on your math skills! The forklift driver theory test often tests individuals’ knowledge by asking them to explain how they would act in a certain situation. For example ‘what would you do if you noticed a badly damaged pallet supporting a load?’ For some questions, individuals may be required to list multiple actions that they would take to resolve the problem safely. One of the best ways to prepare yourself for the forklift theory test is to take practice tests. We provide these within our forklift driver training programme, but there are also various websites that give you access to mock tests. In order to stand the best chance at passing your forklift theory test, you need to revise the material so you know it off by heart. Only someone that is truly committed to learning the health and safety regulations and forklift theory is going to be able to pass the test with flying colours. Once you have passed the theory test and the practical assessment, you will be given a certificate that proves you have a forklift driving licence. You will find this certification incredibly beneficial when competing for warehouse jobs and the like, as companies tend to favour candidates that are already qualified to drive forklifts. If you are interested in finding out more about the forklift theory test or you would like to book yourself on one of our forklift driver training courses, get in touch with our sales team today! Are you ready? Lithium-Ion (Li-Ion) Forklifts Trucks are on the way! Lithium isn’t only reserved for cars! As Lithium costs are winding down, they are proving to be a reliable and cheaper source of power for Forklifts. With a major range of newly built trucks coming into play; Lithium is the next generation of batteries, typically holding up to three times the capacity of lead-acid batteries & last longer – much longer. Just imagine it: a 3,000 charge life cycle, lightweight and maintenance free battery – meaning no more water or filling stations! The convenience is unimaginable; longer shift durations would lead to increased productivity due to the time saved on charging! Yep, you heard right – Lithium batteries have proficient charging rates, allowing an approximate 80% charge in forty-five minutes. This is of course super-fast when compared to the sluggish lead-acid battery, which could take up to 12–16 hours for sealed batteries & up to 36–48 hours for large stationary batteries. • Li-Ion Protection Circuitry is custom & expensive, whereas its Lead Acid counterpart is Commercial off the Shelf (COTS) & inexpensive. In recent research, Navigant have concluded that Li-Ion costs remain a significant barrier in the expansion market. Still, lead-acid is a mature technology and so prices are likely to remain the same. This means that though current Li-ion batteries are approximately 3 times the cost of a lead-acid battery; prices for fuel cells, Li-ion batteries & fast chargers on the other hand are likely to fall. Navigant recently released a report stating that lithium-ion battery costs may fall to $300 per kWh by 2015 and to $180 by 2020, making them a cheaper proposition than lead-acid batteries are today. BOULDER, Colo.–(BUSINESS WIRE)—says: While lead acid batteries are well entrenched in the forklift market, they are not ideal for some operators because of their limited runtime, long charge time, and short life cycle. Over the next several years, advanced electric technologies, such as fuel cells, lithium ion batteries, and faster chargers will continue to gain a larger share of the forklift market in terms of revenue. Li-ion batteries are steadily on the rise and will make a strong opponent for current lead-acid batteries in the years to come.